I’ve been wanting to get a new mirror installed. 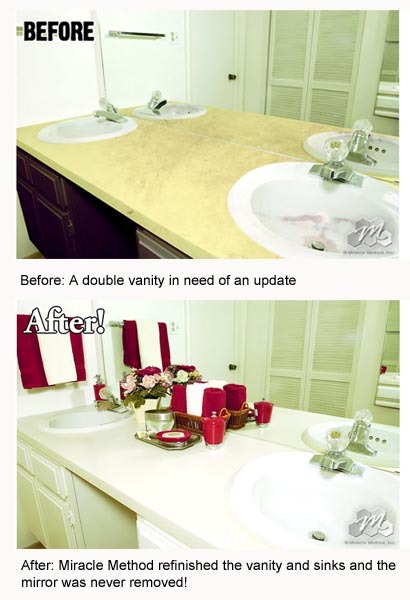 I didn’t know that you could get a big one right on the vanity! That seems like a great way to get a good look at myself in the morning. What better way to get ready? Thanks for sharing! 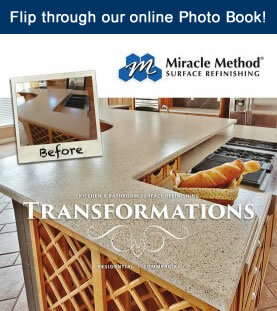 Thank you for your interest in Miracle Method Surface Refinishing.